This humorous 3-piece set of Soviet kids are dressed as KGB Agents. 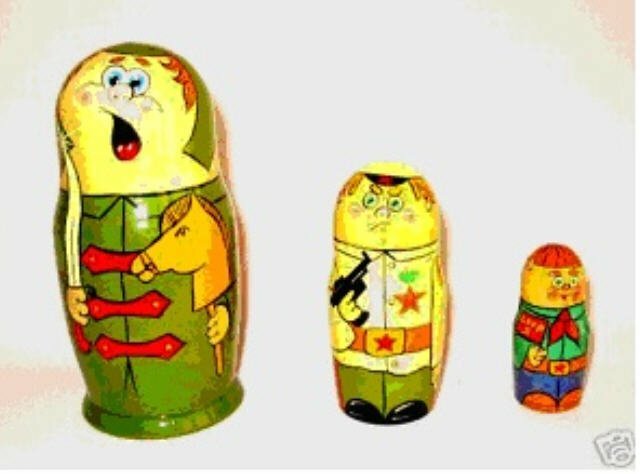 It is a hard to find political cartoon style of dolls handcrafted in Moscow in 1989 ~ USSR Time Frame. Limited Edition signed and numbered 77/1500.